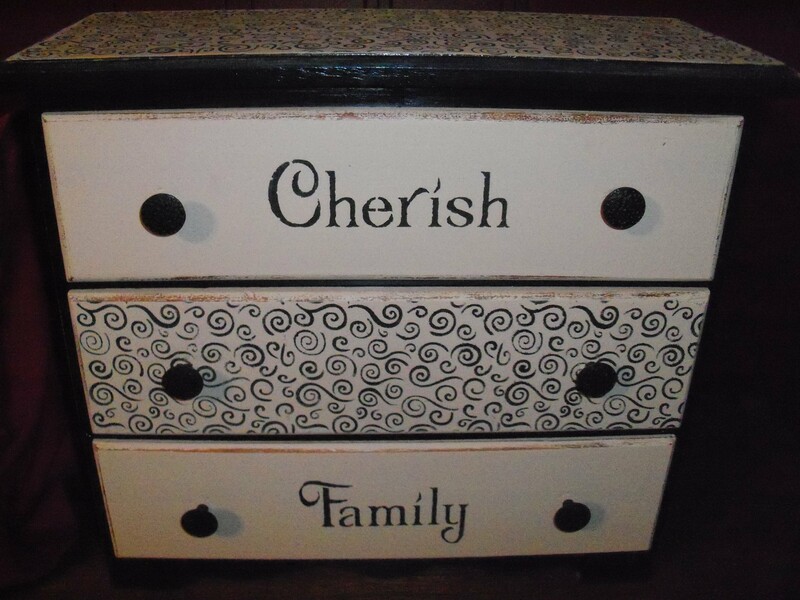 I have been a fan of stencilling for years. 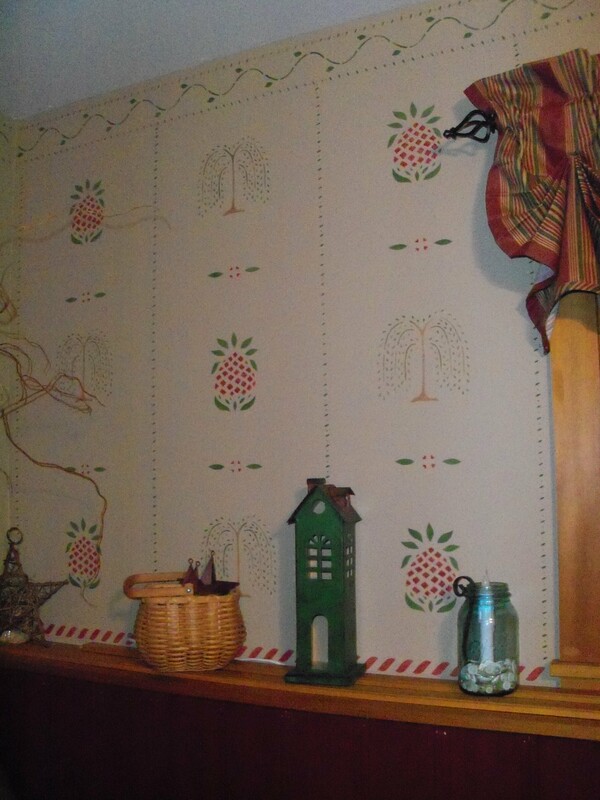 Many of the rooms in my house I have stenciled myself. I have done mostly borders and one ceiling medallion. 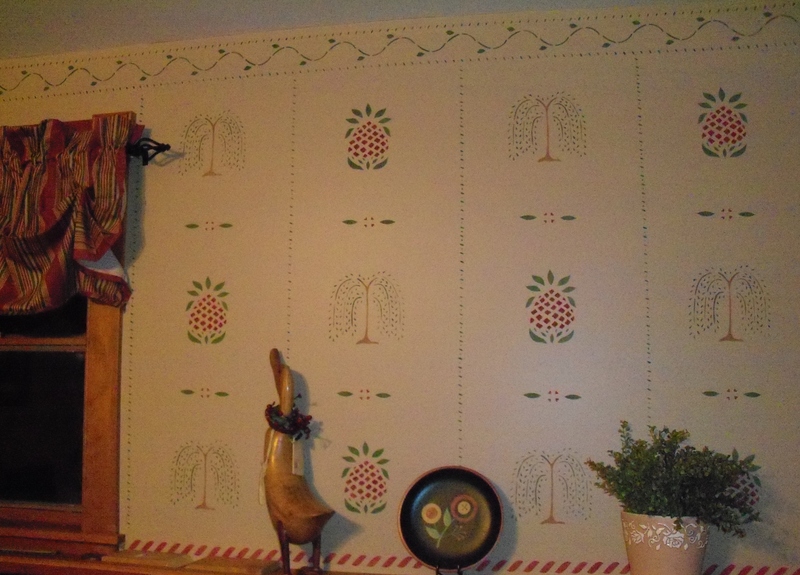 One of my goals was to do a wall or part of a wall with historic stencils much like wall paper. So I did some research and found a great web site :http://www.mbhistoricdecor.com that chronicles the story behind this craft and shows homes throughout New England. My inspirations were from the Moses Eaton Collection. “We associate Moses Eaton’s patterns with Cape Cod Style houses, early American furniture, wide pine floorboards, hooked and braided rugs and pottery with good reason. Their simplicity and boldness lend an atmosphere of gaiety and informality to such a setting. Moses Eaton’s bright patterns on warm backgrounds speak of family, friends and an industrious home life spent close to the hearth. Memoirs of 19th century children recount happy hours spent in bed comparing patterns and positioning of the red and green images on their walls. The symbolism of the various motifs is a character lesson and a history lesson all in one. We see that the values and desires of our forefathers two hundred years ago are the same for us today. 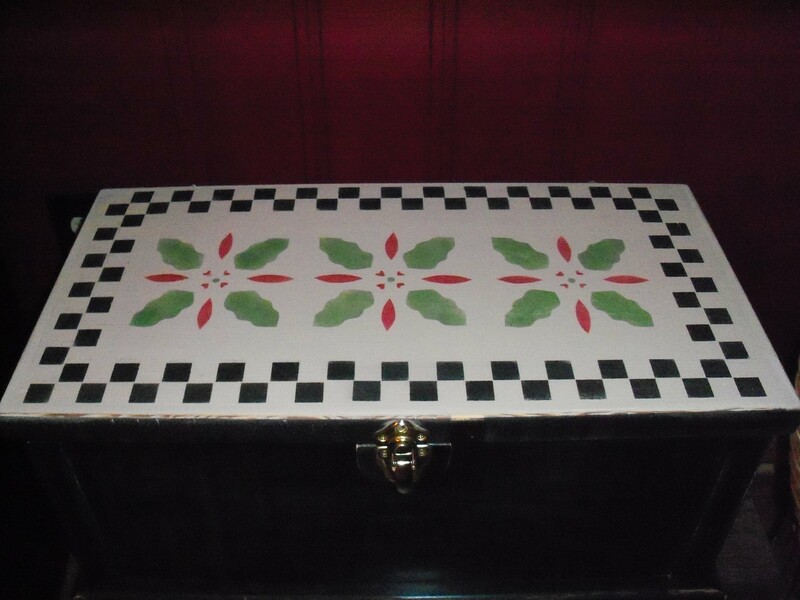 In the same room I decided to repurpose a couple of items I had, one was an old doll dresser from when I was a small girl and the other was a wooden chest given to me by a friend. I wanted to keep in the same color theme I had for the room so I painted them each black and tan and of course stenciled them ! Here is the result…..